Those people who make the construction business their life’s work generally are accountable, able, and hold to high professional standards. 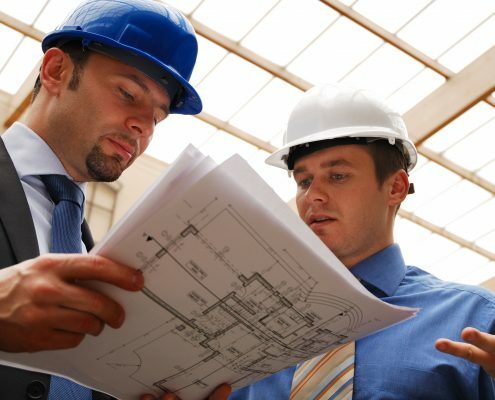 In addition, they are fully aware of their roles in a construction project. Owners, on the other hand, are not full time players. They may have to deal with only one construction project in a lifetime. Thus, they are usually ignorant about the requirements of the planning, design, and construction of a project. Because of this, they are not always timely with decisions, nor do they always understand what it is they are deciding when they do make decisions (or at least they do not understand the full implications of the decision they have made). Because of this, all project team members have to spend valuable resources (time, energy, billable hours, et cetera) holding the Owner’s hand. The lion’s share of handholding is typically left to the architect. Such a situation cannot help but generate a conflict of interest. Architects have other projects that require their time and attention: they need to manage sub-consultants; they need to earn a profit. Often, these interests are in conflict with their assignment to manage the Owner’s interests. A Project Manager (PM), on the other hand, has only one job: look out for the Owner’s interests. The PM works hard to manage Owner clients. In fact, the PM likely spends as much time managing the Owner clients as it does all the other team members. The benefits are 1) that “the process” is as efficient as it can be, 2) the professional (consultant / contractor) members of the team can focus on what they do best, and 3) there is a greater likelihood of success on the project.